WILLEMSTAD - The Council of Ministers of the Kingdom appointed drs. Herbert F. Domacassé on June 23rd as a member on behalf of the public entities Bonaire, Sint Eustatius and Saba as per July 1st, 2017. He hereby succeeds Mr Hyden Gittens, who has recently submitted his resignation to the Minister of Interior Affairs and Kingdom Relations. Mr. Domacassé has fulfilled a number of functions within the banking industry in Bonaire, Curaçao and Aruba. 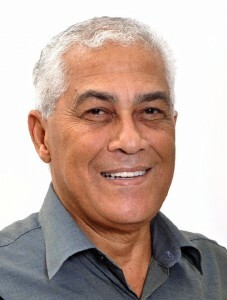 He has been Minister of Traffic and Transport for the Netherlands Antilles and Lieutenant Governor for Bonaire. Currently he is member of the Supervisory Board of the Caribbean Netherlands Pension Fund. He succeeds Mr. Gittens as a member of the board of financial supervision for Bonaire, Sint Eustatius and Saba. Mr. Gittens was granted an honorable resignation by Royal Decree. Just before the termination of his three-year appointment term, Mr. Gittens offered his resignation to the Minister of Interior Affairs and Kingdom Relations in connection with his acceptance of a contract for the public entity Sint Eustatius. This way there will be no blending of the supervisory function from the Cft Bonaire Sint Eustatius and Saba, and his advisory work performed via his consultancy company. Chairman prof. dr. A.F.P. Bakker thanks Mr. Gittens for the enjoyable cooperation, thereby speaking for all members of the Cft. Mr. Bakker is pleased that Mr. Gittens will uninterruptedly continue use his knowledge and expertise to the benefit of the Caribbean Netherlands. The new Cft chairman, prof. dr. R.H.J.M. Gradus looks forward to working with Mr. Domacassé.